Nothing can substitute the peace of mind you have knowing that your home, your family, and your property are safe. That's why BCG Concepts offers full design and installation of CCTV (Closed Circuit Television) systems. We have several solutions for any budget, so you can feel comforted knowing your property is being monitored 24 hours a day. Depending on your property and application, there are many product and equipment choices in CCTV systems. For example, dome cameras offer protection from vandals, while the more specialized bullet cameras offer higher resolution. BCG's specialists can advise you on all the options, different technologies, and necessary products that work for your unique situation. 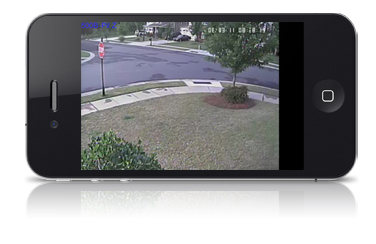 Our services include DVR (Digital Video Recorder) setup, pre-wiring, and camera installation, as well as setting up and programming remote access to your CCTV system. Remote access to you CCTV system means that you no longer have to worry about the house when you're away for the weekend or worry about the shop after locking up each night. BCG offers remote access via your computer and mobile devices including Apple's iPhone, iPad, and iPod Touch. Many apps force you to view your CCTV in low-resolution. Maybe that's okay if you're using 3G or another limited connection bandwidth, but what if you have an unlimited data plan or are using Wi-Fi? Chances are you'd like to take advantage of those capabilities. With Wirepath's selectable streaming, you can take advantage of higher-resolution video, and finally see what you've been missing! All your DVRs in one place for a consistent and seamless experience. 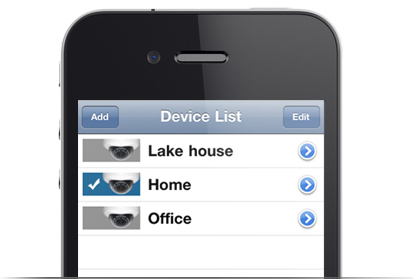 Maximize your CCTV by checking in on multiple residences, shops, restaurants, anything; all directly from the same app. 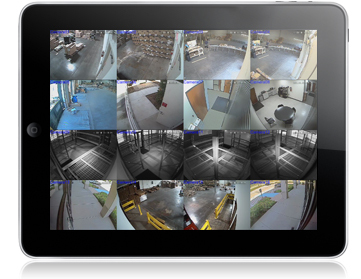 View up to 16 CCTV cameras in a single screen or in split screen mode. Zoom to a specific camera or keep an eye on everything at once. On your mobile device, simply double tap the image to jump to full screen view. This makes it a breeze to monitor a single room, or the entire premises. Want to maximize the viewing angle on a single camera? Simply rotate your mobile device to landscape mode. Switching to the next camera takes just a swipe of your finger across the screen. The app uses all the mobile device technology you're used to, making your CCTV experience intuitive and easy to navigate.